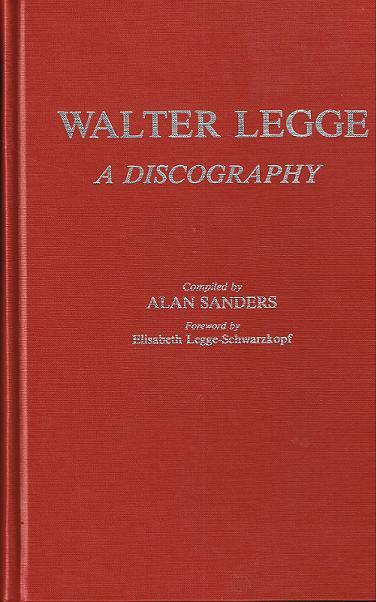 "For the dedicated record collector and music lover this discography provides invaluable information about Legge himself and a crucial period in recording history, from his issuance of discs on a subscripion basis to the creation of the Philharmonia Orchestra to the systematic recording of the greatest musical artists of the world. 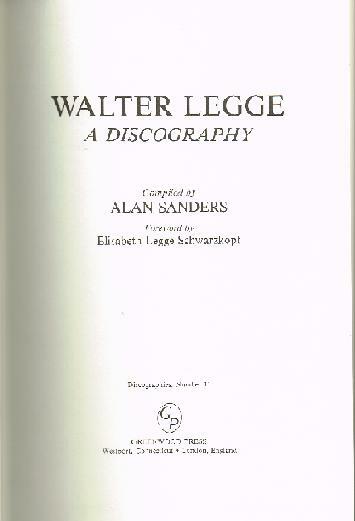 Alan Sanders provides session-by-session data on works prepared under Legges supervision, with the date of the recording, the location, the name(s) of the artist(s), and even the progress of the recording schedules. Also provided are serial and matrix numbers, the 'takes', catalog numbers, secondary issue numbers, and other data. To afford easy access to all this information, the discography is indexed both by title and by artist."